Recipe instructions: Get the hamburger meat browning in a hot skillet, try not to break it up to much you want large pieces for texture. 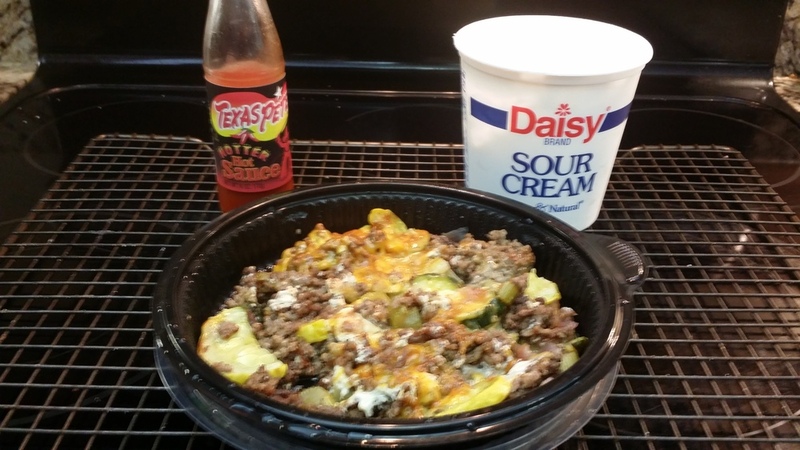 When brown on one side turn it over then add in all of your veggies and cover them with the Fresco cheese. Flip this all over so the fresco cheese is on the bottom. Fry under high heat until you start to see the fresco cheese start to brown. Cover the top with the colby cheese and place the whole skillet under the broiler until browned on the top.